I’m glad you found The Trip Clip® blog! 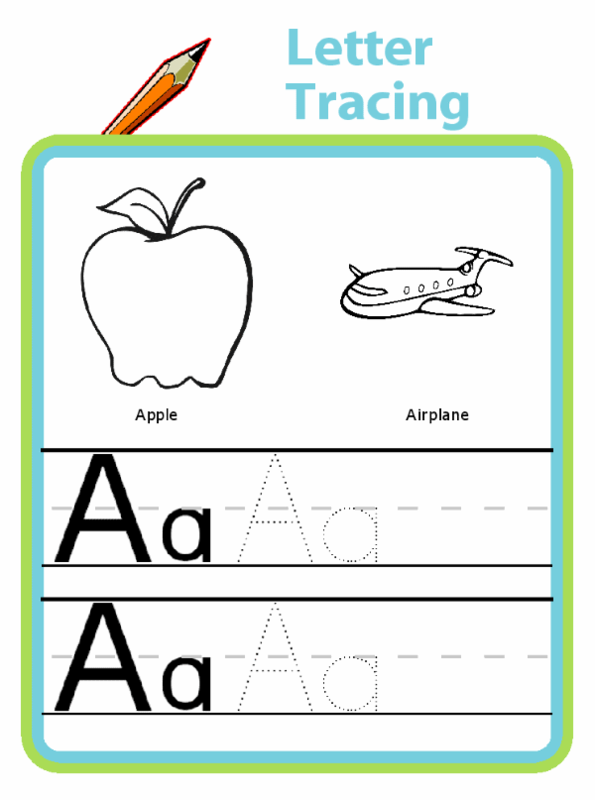 I’ll post here about new activities and clipart, fun ways to use The Trip Clip products, and about life as a Tech Mom. I love to hear from others, so leave a comment any time! When you have a baby, the first question you’re usually asked is “Boy or girl?”. And that is often followed not long after by “Will you stay home or go back to work?”. The first question is asked of both moms and dads, but that second question is usually just for moms. Why don’t we ask dads that too? Typically dads don’t do the same soul-searching around whether they need to pull back at work to manage the additional workload of having kids. Although more and more dads are the ones who stay at home (approximately 4% of families have a full-time stay at home dad), it’s still unusual enough that we just assume dads will return to their same work schedule. When my husband and I had kids, we both had promising careers we loved at Microsoft, and we both planned to continue working. We traded off on parental leave, so we both got a chance to see what it was like working full-time while the other parent stayed home with the baby. When our son was 6 months old we put him in daycare and both went back to work full time. We lasted about 2 weeks on that grueling schedule, with no stay at home parent keeping us balanced and on track, before we made some big changes. We both asked to work just 4 days/week, which allowed us to each stay home with our son 1 day/week. To be clear, the biggest issue was not the childcare itself – daycare took care of the actual childcare during the day, and we loved our daycare. Our problem was all the other work that comes along with being parents. When we were both working full time, we had trouble keeping up with the laundry, the grocery shopping, the cooking, the dishes, the cleaning, the pediatrician appointments, the clothes shopping (babies grow so fast! ), the pumping, milk management, and bottle washing, not to mention the evening and morning childcare (feeding, bathing, playing, putting him to bed, getting him up, fed, dressed, and ready for daycare the next day.). It was do-able while working full-time, but it was very hard, and not joyful for anyone. The biggest issue was not the childcare itself, it was all the other work that comes with being a parent. Many parents who reach this point (and who are lucky enough to have a choice) decide to have one parent switch to part-time, or even stay home full time, because there really is a lot of added work to do when you have kids. 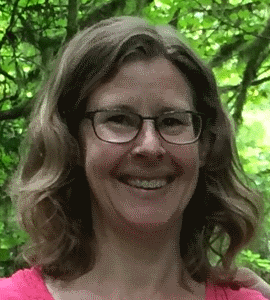 We decided we would both go part-time so that we could share the added workload at home and we wouldn’t be choosing one of our careers over the other. We are also both equally capable of doing laundry, grocery shopping, and even handling pediatrician appointments! It’s now been 15 years, and this has continued to work so well for us that we are still both working part-time, even though Matt has changed companies and I started my own business. As the kids have gotten older, we’ve both considered returning to full-time work, but every year we agree that the benefits of our part-time schedules outweigh the negatives. Although the baths and milk management and diaper changes have been replaced with driving carpools and attending soccer games and managing homework, the work of parenting is still significant enough to warrant two part-time schedules. I know there are many families who have successfully continued with two parents working full time, so clearly it can be done (and I am hugely impressed by the families who are working so hard to be successful on this schedule). According to this study almost half of the families out there have 2 parents who both work full time. But this same study also shows that when both parents work full time, moms are still doing more of the childcare and housework, and that women’s careers suffer more than men’s careers do when they become parents. Women also report more difficulty balancing work and home than men do. This is consistent with my experience with the families I know as well. I’m writing about how both of us working part-time has worked so well for us because I’d like more parents to consider doing the same thing so that moms and dads have more time to do the work of parenting, and moms have an equal chance to pursue a career. Women’s careers suffer more than men’s careers do when they become parents. I believe that women should be able to participate equally in the world outside of the home. Half of our CEOs should be women. Half of our government should be female. Half of our scientists, inventors, product designers, and engineers should be female. And to get there, a few big things need to change. First, businesses need to support working parents in ways they do not right now. That will happen fastest when men are asking for these changes too. Second, if women are going to “Lean In” at work, then men need to “Lean In” at home. Otherwise we are just asking women to be superwomen in order to be equally represented in the broader world. We need to acknowledge how much work it takes to be a parent, and share that work load more evenly. Although it doesn’t feel that weird for moms to switch to part-time, it’s a lot harder to imagine a man doing this because it’s such a foreign idea. He might be seen as not dedicated to his job, or not serious about his career. Co-workers will wonder if he will put in enough hours, or if he’ll slack off on his responsibilities, making more work for them. He’ll worry about missing out on promotions and important projects. Every time a man says he has to get home to fix dinner, or leave work early to take his child to the doctor, it will be more acceptable for the next woman who does the same. All of these concerns apply to women who want to switch to part-time schedules too. But because women are more naturally expected to step back from work to take care of children, and companies are encouraged to be ‘family friendly’ and allow women to go part-time, more women than men take this step. This doesn’t make the prejudices against part-time workers go away, though; women just end up absorbing them. Having dads AND moms asking for part-time work schedules will make this a parenting issue rather than a gender issue. There are also plenty of companies that won’t even accommodate part-time employees. Although my husband was able to get approval for this at Microsoft, and again at the next company, a man working part-time is very rare. Despite the fact that my husband has been successfully working part-time for 12 years at his current company, they have not extended this perk to others. Still, though, my husband is asked often by his co-workers about this arrangement and how he got it. It’s important to both of us that he is a role model for how to be successful at work while still prioritizing home and family. Some companies will use your request to work part-time to cut back on your benefits. This is a huge problem for moms who go part-time. They might lose health insurance, or a contribution to a 401(k) program. Having dads struggle with this also will help raise awareness of this problem for women. Men will have more clout on this issue because they are typically seen as the provider, despite the fact that women are the breadwinner in 40% of households. We need companies (and politicians) to understand the need for a much broader way to define how people work, and not penalize parents who are doing the important work of raising kids. The lack of support for part-time employees impacts women significantly more than it impacts men simply because so many more women do it. I’m positive that this will change faster if men start asking for part-time work schedules too. Men who lean in at home will also help normalize the need for parents (not just women) to take care of home life. Every time a man says he has to get home to fix dinner, or leave work early to take his child to the doctor, it will be more acceptable for the next woman who does the same. The work of raising children and taking care of a house and family remains largely hidden because women are quietly doing it without pay, and without acknowledgement for just how much work it really is. Dads who join in on this work will help raise the visibility (and hopefully the perceived value) of all of this hidden labor. These kinds of changes take time. It’s unlikely that our generation is going to see a huge shift in equal representation for women in many arenas. One report suggests that it will take over 100 years to erase the economic gender gap at our current rate. Right now in the U.S. only 20% of our government is female, and < 5% of Fortune 500 companies have female CEOs. Many moms give up on the idea that they can live their own lives beyond their role as Mom. Dads don’t do that, and moms shouldn’t have to either. But one great way to change this for our kids is by modeling a different way of doing things. By choosing to have dads step back from work to help with childcare and housework, we are showing our kids that chromosomes aren’t what determine a person’s place in the world, actions do. My boys see me working every day. They see their dad doing laundry, cooking meals, and driving carpool. They (hopefully) won’t expect their wives to do all of those things for them because of their gender. Our goal is for them to think a woman who works and also has kids, and a dad who takes on 50% of the household work, is a totally normal thing because they’ve witnessed it personally. So far I’ve focused on why men should pull back from work. The flip side of this argument is that I think all women should keep working once they have kids. This decision is an incredibly personal one, and I recognize no one choice will be right for everyone. But I think many women who make the decision to stay home are very focused on those early infant/toddler years, and not thinking long-term about what is best for their kids, and for themselves. I already mentioned the benefits of setting an example for your kids that both men and women can be successful in the workforce, and I think it’s very critical to send this message to kids so that they don’t grow up thinking moms are good a dishes and dads are good at business. Another thing to consider is the parenting end game. The success case for raising your kids well is that they leave you! Although parenting is an incredibly important 18+ year commitment, your kids will (hopefully) go out on their own. Many new parents consider the needs of their infant, but it’s a lot harder to think 18 years ahead about what will be best for mom. Consider, though, that if your kids go off to college when you are 50, you will have a lot of wonderful years left in which you can do incredible things. My mom had 4 kids, and dedicated herself pretty thoroughly to their upbringing for many years. She did work outside the home, but it was always secondary to her job of raising kids. Then when we all grew up and moved away, she was at a bit of a loss as to what to do with her own life. Many moms give up on the idea that they can live their own, rich lives, separate from their kids and their role as mother. Dads don’t do that, and moms shouldn’t have to either. There are also benefits to making sure that women participate heavily in the broader world. When I first went part-time, I would often take our son to the mall on my day home with him each week. When it was rainy and we couldn’t go to the park he could climb on a play structure they had there. I remember walking through the mall pushing his stroller and realizing that I looked exactly like all the other stay at home moms around me. None of the people there knew that the other 4 days/week I was a Group Program Manager at Microsoft. It shocked me to realize how different I felt being seen as ‘stay at home mom’ than as ‘Microsoft manager’. My place in the world felt smaller, less important; *I* felt smaller and less important, and it was easy to see how that could sink in over time. I worry that women who stay home full-time to be moms are at risk of losing their voice. The incredibly hard and vitally important work they do is not valued, and their sphere of influence often shrinks to their kids’ schools. This is the opposite of what happens for men (and women) who stay in the workforce. Some women lose their confidence in their ability to participate in the broader world after a significant number of years at home with the kids. And I don’t just mean they lose their confidence in returning to work – I think many lose their confidence in making financial decisions, in knowledge about politics, and in many other arenas because their sphere is the home. Take the extra time and do something that is not about being a mom. Returning to work can be tricky too. For women who want (or need) to reengage in the world after raising kids, a yawning gap in their resume and in their life experiences can be hard to overcome. Despite years of management experience (albeit management of toddlers, and then teens) moms are seen as not having any current work experience. Keeping a foot in the door via part-time work can make a huge difference in helping women navigate through those post-kid years, and helping them craft a path forward post kids. Women who stay home full time are at risk for losing economic security as well. I know a surprising number of women who agreed to a partnership with their husband where he supported the family financially, and she stayed home to take care of the kids. When the marriage ended (as 50% do), her earning potential was shot, and so was her confidence in herself and her ability to do many tasks that she relied on her husband to do. She worked just as hard as he did all of those years, but he came out of it in a much better place than she did. Women are too willing to give up their agency and depend on their partner while simultaneously spending years doing work that is not very valued by our society. Of course raising children IS incredibly important work, but there’s no reason it needs to be just woman’s work, to the detriment of the women doing it. Even more importantly, women’s voices are too noticeably absent in government, in science, in business, everywhere we look. By focusing on the home sphere, we are not sharing our wealth of experiences, knowledge, attitudes, and ideas as fully as we could be. I recently read a fascinating article about ways the world is designed for men, because men are the ones designing it. I look forward to seeing the wonderful way the world improves as women take a bigger role in designing it. By stepping back from work, my husband has left room for me to lean in to work. My situation is a little unique since I work part-time from home running my own business. I straddle a very tricky line between being very much like a full-time stay-at-home mom, and being a business owner. Because I’m at home all day, it is even easier for laundry, grocery shopping, meal prep, and carpool to fall on me. I often find it hard to fit in any work at all (did you know that kids are in school 180 days/year, which means they are home 185 days??!). But because my husband works 4 days/week, there is at least one day each week where I’m guaranteed to be able to focus 100% completely and totally on work, and that is golden. By taking on that day, my husband makes room for me to be Entrepreneur Molly in addition to Mom Molly. And it turns out Entrepreneur Molly is pretty important to me. Although I love being a mom and wouldn’t trade it for anything, I’m very glad I didn’t have to make a choice between working and being a mom. Because Matt is willing and able to be an active participant in our home life, even to the extent that he works part time, I am able to run my business with the confidence that our home life and our kids aren’t suffering because of my choice to work. He gives me the space to pursue my own dreams, and meet my own needs. I know a number of moms who choose to stay at home because they don’t want to give up the joy and fulfillment they find in being a mom. I love those moms – they are also usually the ones who drive extra carpool duty, take care of working parents’ kids when extra help is needed, and volunteer at crazy levels at school. They take care of everyone. Even if this is the kind of mom you are, and returning to work is truly not for you, consider backing off at least some anyway to give your husband a chance to lean in at home. Take the extra time and do something that is not about being a mom, but is about being you. Volunteer, or pursue a hobby, or go back to school part-time. You will feel more human, be a better mom, and ensure you have connections to the rest of the world that are not just about your role as mom, which is by definition a limited time endeavor! Did you know that kids are in school 180 days/year, which means they are home 185 days? And the added benefit is that you will give your husband room to truly lean in at home. This is good for you and him and your kids! One day each week, my husband is the parent in charge, and he handles everything on those days – the planned stuff, and the unplanned stuff. When they were babies, he did all the feedings, diaper changes, play time, entertaining, laundry, etc that’s required when taking care of an infant. Now that they’re older, he gets them to their after school activities/appointments, drives carpool, and manages homework time. He also plans, shops for, and cooks dinner so it’s ready when I get home. On days the kids aren’t in school, he does the grocery shopping with the kids in tow, oversees the play dates, takes them to swimming lessons, or whatever else needs doing. Matt experiences the hardships and joys of parenting that he misses when he’s at work all the other days. Many years ago a stay-at-home dad I knew said lot of people think it’s not the quantity of time you spend with your kids, it’s about the quality. As a full-time stay at home dad, he called b.s. on this, and all these years later I tend to agree with him (though I was skeptical at the time). Those moments you get with your kids where you connect deeply, or make a memory they will carry into adulthood, or help them in a moment when they desperately need a parent’s love – those moments can’t be planned. They happen when they happen, often during the drudgery of living life. Matt gets more of those moments because he is with them more, living those boring moments that fill the time between the surprising, amazing ones. We’ve also found it very valuable to experience at least some of the other parent’s world. Matt will be the first one to tell anyone who asks that being home with the kids is harder than going to work. It just is. It’s not intellectually harder, but it is physically, emotionally, and mentally harder to do the billion different jobs that need doing, always on the kids’ schedule (never your own), with very few breaks during the day. Potty training kids don’t wait. Tantrums don’t wait. Kids who are fighting with each other don’t wait. Whining is draining. Figuring out how to raise good human beings is hard and often very stressful. Cleaning is just plain drudgery. Driving carpool can be an assault to your system. Adult co-workers, though often very annoying in their own way, are just easier companions to have with you all day long. By stepping back from work, my husband has left room for me to lean in to work. When I’m struggling with how hard it is to handle everything at home, and I ask for more help, Matt truly knows how hard it is because he does it too. This first-hand knowledge is invaluable. The flip side of this is also true. Because I work, I understand how hard it is to put that work aside to just be there for the kids when they need me. I understand how hard it is to be immersed in the work world, and come home tired from a day at work, and walk in the door and be expected to immediately shift gears and help with dinner or homework or whatever chaos is happening at home. Because we both work, and we both have days at home with the kids, we understand each other’s worlds and needs much better, and are better able to support each other. This has the added benefit of making our marriage stronger. Appreciating and truly understanding what the other person brings to the partnership is a big deal. We also find that our worlds overlap more with this arrangement. Sometimes that adds work – when we trade off days, the parent who saw the injury happen might not be the one at the doctor’s appointment so there is added work to communicate constantly to make sure the parent in charge that day has the information they need. But this shared approach, rather than a more silo’d approach where he makes the money and I take care of the kids, helps us share more of our worlds and it forces us to work together as equal partners. Matt and I have been very lucky to be able to run this 15 year experiment. Many families couldn’t afford it, or are forced to be juggling multiple part-time jobs just to make ends meet, or don’t work for companies that would even consider this kind of schedule. I recognize that we’re operating from a place of privilege. That privilege, though, makes it all the more important for us to help pave the way for better working arrangements for parents who have to work full-time jobs while raising children. By pushing against the current status quo we can help businesses understand the flexibility parents need, or get them to recognize the difficulty of having to work full-time to keep your insurance at the expense of raising your kids the best way you can. For centuries, men have had time and space to think, to invent, to create, to govern, to participate in the wider world. We now better understand that women are as capable of doing these things as men, but we have not yet found a way to give them the time and space to contribute equally. Across the world, women take on the bulk of the housework and childcare, allowing men to have the time, energy, and freedom to do more. Yes, this is probably a zero sum game. If men take on more of the housework and child rearing, they will inevitably have less time to do big things. But that’s a price we should be willing to pay to give the other 50% of our population the same chance men have always had. Women can participate equally at work and in government, but we’re missing out on all that women have to offer if we keep asking them to also do the bulk of the laundry and the cooking and carpooling. A great first step towards giving women the time and space they need would be for men to switch to part-time work schedules when they have kids. They will normalize this for women, too. They will help the world acknowledge the added time and work it takes to raise kids, and not assume that all that work should fall on women. And they will be better parents. Keeping your kids entertained can sometimes feel overwhelming. If you’re about to take a trip, or even just be in the car for a long time running errands, you will undoubtedly think about what you can bring along to keep your kids entertained so you can travel, or shop, in peace. Our generation is lucky (and cursed at the same time) because phones and other electronic devices offer an unlimited supply of entertainment on the go. For many families, this works great! The Trip Clip offers another option, though, to steal back at least a few of the hours that might otherwise be spent on screens. 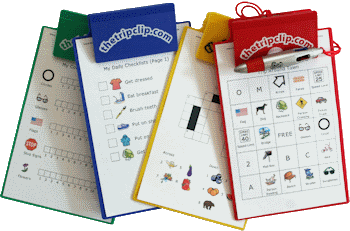 The Trip Clip offers a wide range of travel activities, from bingo boards to mazes to license plate games to drawing activities. 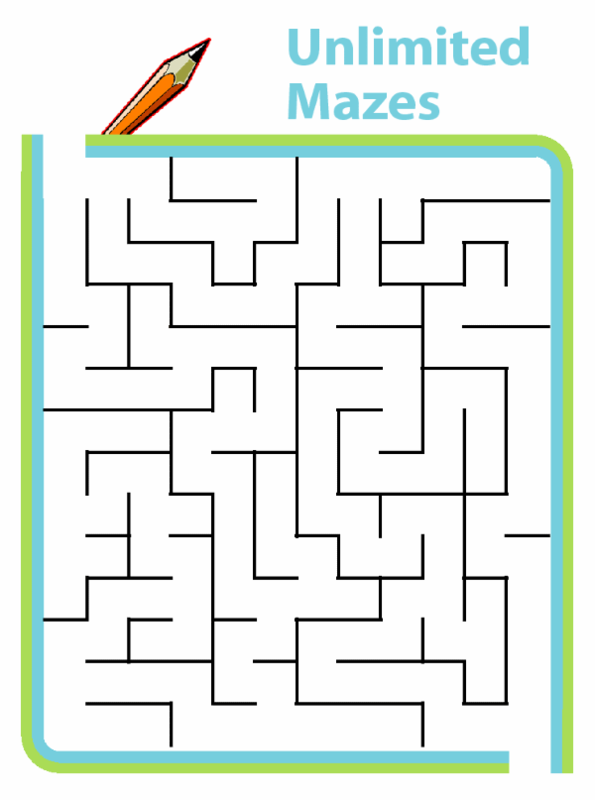 One of the best things about it, though, is how The Activity Book page makes easy it is to quickly make a few selections based on your child’s age and interests, and then click a button to automatically generate as many travel pages as you want. Despite my best efforts when we’re packing for a trip, I’m almost always behind schedule, so I love how quickly I can make a few clicks and put together an activity book with pages I know my kids will like. 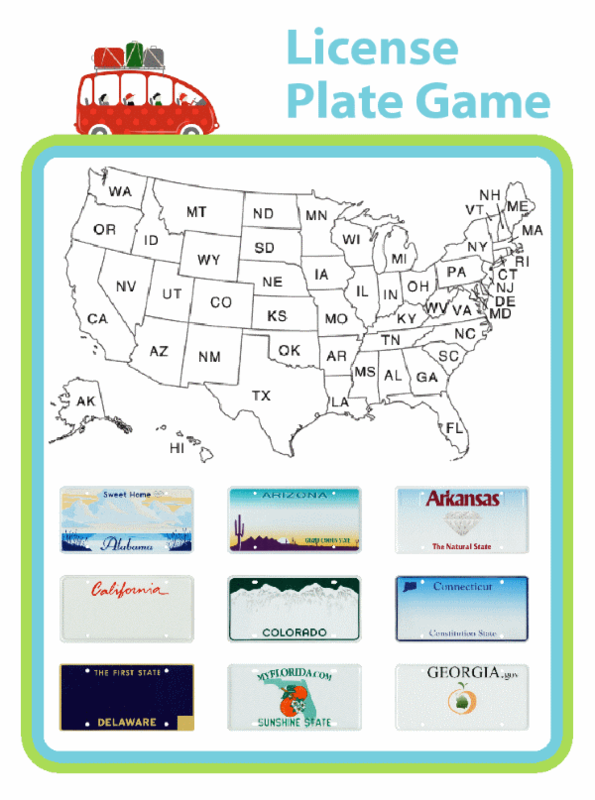 There’s a lot of other good tips for Traveling with The Trip Clip on my blog. I’ve already written about how Google Docs has helped my family immensely with a Shared To-Do List. Today’s post is about another great Google offering – a shared family calendar via Google calendar. This is a great solution for households where both parents work outside the home, but stay at home moms will find this incredibly useful too! Setting up a family calendar was an important change for our family. As anyone with kids knows, keeping track of all of the kids’ activities, days off of school, doctor’s appointments, birthday parties, etc can be a lot of work. Often, the bulk (if not all) of the work to plan, track, and take care of these activities falls to the primary caregiver. Sometimes that’s just how parents have agreed to share parenting duties, which is a totally valid choice! But sometimes, that happens accidentally because one parent has all of this stuff in their head, or on a paper calendar in the kitchen, and that makes it difficult if not impossible for the other parent to help. My husband and I discovered that sharing the parenting duties was way easier when we could BOTH see the full list of things that all of us had going on. When we first decided to share our calendar, I felt weird putting the kids’ orthodontist appointments on the calendar my husband would see at work, because I knew it would be me dealing with the after school appointment (he works in an office while I work from home). But it turns out it was a huge help to both of us to have all of this kind of information on a shared, online calendar. First, the most obvious benefit of storing everything our family does in one place helped us avoid conflicts because we could see everything side by side. With four active people in our household it helped us make sure our kids were available for an event, but also that a parent would be around to drive them there! Having out shared calendar be electronic is great because it lets all of us access it from anywhere. Having the family calendar readily accessible from our phones makes a big difference. When I’m at the orthodontist, I can easily see what everyone is doing when I make the next appointment, and I enter that appointment directly into the family calendar so everyone else automatically has that information. And if my husband is the one at basketball practice and the parents start organizing an end of season party, he knows right away what dates we are all available instead of having to check with me and get back to the group. My husband is also able to sync that calendar with his work calendar so he has the info he needs from work, too. When he couldn’t see it, he didn’t know it was happening until he came home for dinner, and often by then it was too late for him to help. Even from work he can remind me about an appointment (this has actually happened when I was off doing something else and the calendar reminder went off), and sometimes when he sees I’m having an especially crazy afternoon carting the kids all over town he’ll leave work a little early to come home and get dinner started (I know, I’m incredibly lucky). One other surprising thing that got better once we set up a shared online calendar was that we were able to share it with our kids. My oldest especially (he’s a teenager) needs access to our family’s schedule. He is involved in a lot of activities, and loves to make last minute plans with his friends,. H would often get frustrated when he would make plans only to discover that I’d scheduled a haircut for him that day, or that we had some other family commitment. So we added him to the family calendar which he can see from his phone, too, and the tension around keeping him informed of our family’s schedule went way down. He can also pretty easily know if a parent will be able to pick him up from wherever he goes or if everyone else is booked and he’s going to need to find a ride from someone else! Most importantly, using the shared family calendar gives my husband has the information he needs to be able to help. I find that often things fall on me not because my husband isn’t willing to help, but because he doesn’t have the information he needs to help effectively. A shared to do list and a shared family calendar are both great tools to combat the problem of mom being responsible for everything. Working Moms: Your Kids Can Help! There are lots of good reasons to have your kids do chores. Chores teach skills that kids will not learn in school, but are critical for them to learn before they’re on their own. They also teach responsibility and give your kids a sense of accomplishment for learning (and hopefully mastering) some important life skills. There is another important reason, though, to have your kids do chores and at the same time shift your thinking from “this is good for my kids” to “this is good for our family”. If you have two parents working outside the home, it is completely ok to ask your kids (and your husband!) to do what they can to support the whole family working together to keep their home and their family running smoothly. When I was 9, my mom went back to work. Although she had been working from home, she and my dad weren’t making enough to support 4 kids, so she took a full-time job as a bookkeeper at a nearby business. Needless to say things changed at home when she wasn’t there all day. There were always dirty dishes piled in the kitchen (we didn’t have a dishwasher), the trash always needed taking out, the laundry basket was always full, and house cleaning became a much rarer event. As a result, we were all expected to pitch in and help with the endless pile of housework – created by all of us. Since there were 4 of us, ranging in age from 9 to 17, our responsibilities varied by age. The older kids who were driving ran some errands and watched younger siblings after school. They were also expected to do their own laundry, mow the lawn and help with dishes. The younger kids (myself included) helped with family laundry, those endless dishes, and house cleaning. We all fixed snacks and lunches for ourselves, and helped with dinner prep. We understood that with mom working all day, we all needed to pitch in and do what we could to keep everyone fed and in clean clothes. I’d ask Ana (and others who think that kids should not have to do chores because it is the parents’ job, or the mom’s job) – what would they have suggested my mom do? Even with the help of the kids, she was exhausted and overworked all the time. With four kids in school, who each had homework, activities, and social lives, not to mention all of the eating, showering, and wearing clothes they did, there was just a ton of of work to do. My dad worked two jobs, and was gone from 8am – 9pm 6 days/week. In addition to her full time job, my mom handled 100% of the child rearing and the housework, except for what the kids stepped up to do. Ana may also have younger kids, and I can understand feeling like younger kids should be allowed to play and not work all the time. But what age is the right age for kids to begin doing chores? My personal opinion is that having everyone in the household help at whatever level they are able sets an example for how a household should be run. It’s very simple: these tasks need doing, everyone in the family benefits, and everyone can and should pitch in, regardless of gender or age. Boys will learn at an early age that they can’t expect anyone else to take care of all of this stuff for them. Girls will see that their brothers and/or their father pitch in because they too eat, wear clothes, and enjoy the health benefits of a clean house, and they will expect the same from their spouse (and their kids). Others have told me it actually takes MORE time if the kids ‘help’ than if they just did it themselves, and I can’t truly argue with that. 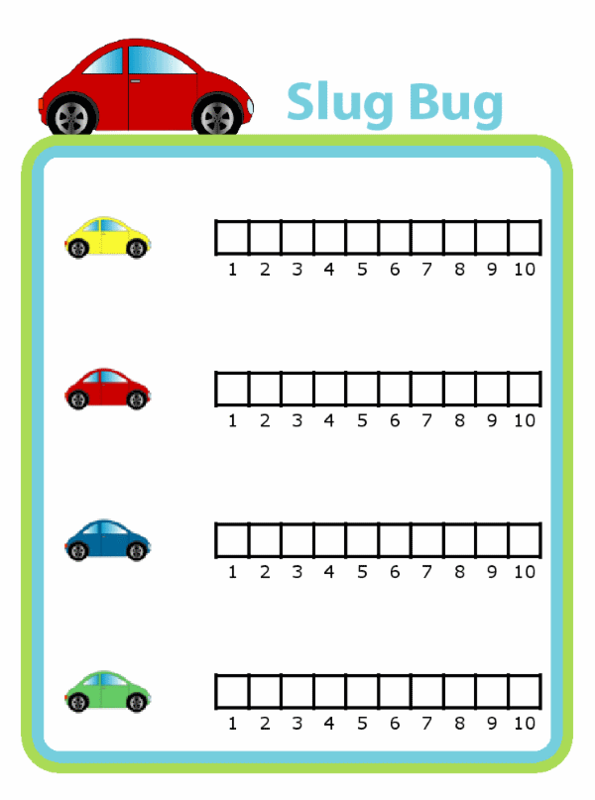 Starting young kids on these tasks can be pretty time consuming – teaching a kid any new skills takes time. But the investment will be worth it in the end, and little kids will understand that they are helping the family in the best way they can. This is big, real world stuff, and that’s awesome. Help them feel awesome. And if you are truly of the mind that as a parent, or as a mom, it is simply your job to do these care taking tasks for others in the family, think instead of the importance of your kids learning to do these things before they set out on their own. My oldest is a sophomore in high school this year, and I am being bombarded with the realization that in 2 1/2 years he will be largely on his own, and that’s all the time I have left to make sure he knows how to do all the things he will need to do for himself very soon. One of my college roommates didn’t know how to write a check, or how a vacuum worked, and I had to teach her so she could pay for her books and clean up our room when she spilled. I don’t want that to be my kid! I made each of these charts with The Trip Clip. 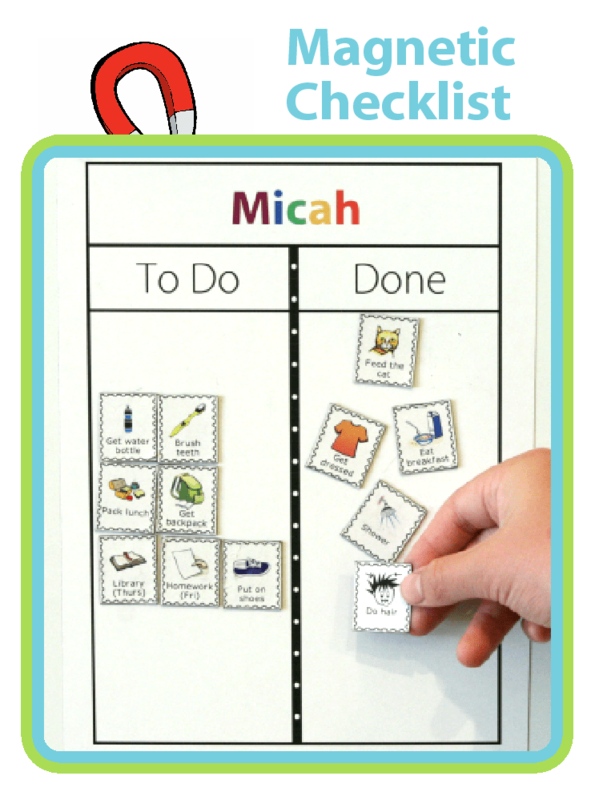 It offers a very flexible solution to creating a chore chart that is just right for whatever your family needs. As parents, our job is to raise our kids to be functioning, capable, productive, and happy members of society. Doing everything for them won’t do them any favors in the long run. And if you are a mom who is also trying to be a functioning, capable, productive, and happy member of society by working outside the home, you will realistically need everyone to do their fair share of the housework and family care taking rather than taking on that load for everyone yourself. Recent studies show that although many more women hold jobs outside the home than 40 years ago, and are even increasingly the primary breadwinner, women still do the majority of the housework and childcare (Japan, Britain, Canada, USA). This is not a path to success for women – we will always struggle to keep up with the men at work if we are taking on more work at home. For many, trying to ‘have it all’ means having to ‘do it all’. My husband and I work hard to combat this. One of the big things we did was divide daily chores in half. Sometimes we chose our tasks based on skill/interest, but more often than not we divided up days because neither of us wanted to cook every night, or have to get up every morning with early rising children. I cook some nights, he cooks on other nights. The person who doesn’t cook does the dishes. I do a weekly grocery run on the weekends, and he goes again later in the week. When our kids were little, we traded off bath time and putting the kids to bed – we were each in charge every other night. And we still trade off mornings too – we are each in charge of getting up with the kids and getting them to school every other day, allowing the other person to sleep in (or get a head start on work) every other day. We found, though, that a surprising amount of the childcare and housework didn’t fit into these buckets. And the “extras” tended to land on my shoulders, and was often very hard to quantify. Recently people have started referring to this as Invisible Labor. Even though my husband is willing to do half of the housework and childcare, things like shopping for clothes, making medical appointments, buying presents for birthday parties the kids were invited to, checking grades, arranging to get the gutters cleaned, buying flights for an upcoming trip, signing up for soccer (the list is truly endless) were still falling on me. And it wasn’t that my husband couldn’t, or wouldn’t, help with these things, the problem was him even knowing which of these things needed doing. That’s when we realized my love of lists (I am the creator of The Trip Clip, after all), was our solution, once we applied a little technology. We decided to create a shared to-do list online. We chose a simple solution: Google Documents. We created a new document and then shared it between our individual Google accounts. I like Google Docs for our list because the formatting is totally flexible (we can make a ton of detailed notes if needed), and it’s super easy to share with my husband and access it from anywhere – including from our phones and from work. One of the first things this shared to-do list did was help make us both aware of the magnitude of the problem. The list is always huge and never-ending, and it was really eye opening to both of us to see just how many tiny, hard to quantify tasks need doing to keep our household and kids running smoothly. The list also served as an effective way to quickly share information between us. Despite our best efforts to avoid gender stereotypes throughout our marriage, I tend to be the one more in charge of our household and our kids. Some of that really is just us falling into gender roles even when we don’t mean to, and it also happens naturally because I work from home, so I am simply at home and with the kids more than he is. But some of it is thrust upon us. Moms at school are significantly more likely to coordinate with other moms for playgroups, carpools, birthday parties, summer camp signups, etc. Even if my husband wants to be in charge of half of this stuff, he just doesn’t have access to all the information I do. See my article about Using a Joint Email Address as one solution to this problem. When the joint email doesn’t fix it, the shared to-do list helps. The list also encourages me to keep my husband in the loop. Many women I know find it much easier to just do the items on the to-do list rather than take the time communicating the task to their spouse. They’re not wrong, sometimes it DOES take more time to communicate the task than it does to just do it. But using the shared to-do list takes away a little of communication burden and helps me make room for my husband to help. It gives us a space and a routine around making sure that he can be effective, and more importantly, be aware of everything that’s getting done. And this feeds on itself. The more involved he is, the more he knows what’s going on in our home life and the more effective he is in anticipating and handling stuff that comes up. The list has made us better partners, too. When the list was primarily in my head and I just dictated tasks when I got desperate for help, my husband had no input into the list of tasks, or how they were prioritized. By writing everything down, items he cared about made it onto the list in a way they never had before. Previously his priorities either got ignored, or he just did them on his own making me resentful that he had picked his pet projects over my more pressing needs. By writing them down, and reviewing the list together to prioritize how we’d spend our time, we behaved more like partners in how we tackled running our home lives. Most importantly, sharing the list with my husband made the list, and the tasks on it, ‘ours’. He became a co-CEO instead of just being my employee and doing what I tell him to do. In order to make sure the list stays useful, we have a weekly appointment to sit down and look at the list together. We talk about tasks that we’ve completed and fill each other in on how it went, we add things to make sure the list is complete, we prioritize the list so that we agree on which things we’ll tackle next, and we divide up the tasks between us. A great example of how the shared to do list helps is with birthday parties the kids get invited to. One simple birthday invitation (which usually came to me) turned into many tasks that I usually just took care of. Until the day of the party my husband might be only vaguely aware it was coming up, and it wasn’t unusual for him to get handed a present and an address on the way out the door to take our son to the party. Now with the Shared to-do list, I pop “Andrew’s birthday party” on to the list when I get the invitation. When we look at the list together, we work together to figure out what to get, who should buy it and when, we make sure it’s on our calendar (including the address so we both have that information), and we figure out who will drive our child, especially if there are any scheduling conflicts that day with other activities. That means the day of the party my husband knows where and what the present is, whose birthday it is, and we will both be equally prepared to help our son get the present wrapped and the card made. The list made room for my husband to be involved too. Now, when either of us runs across something during the day that we know needs to get done, or even just shared with the other person, we pop it on the shared to-do list right then and we’re sure to remember to talk about it at our weekly to-do list appointment. I’ve gotten feedback from preschool teachers, special ed teachers, and even parents of high schoolers who are all using the School Schedule. 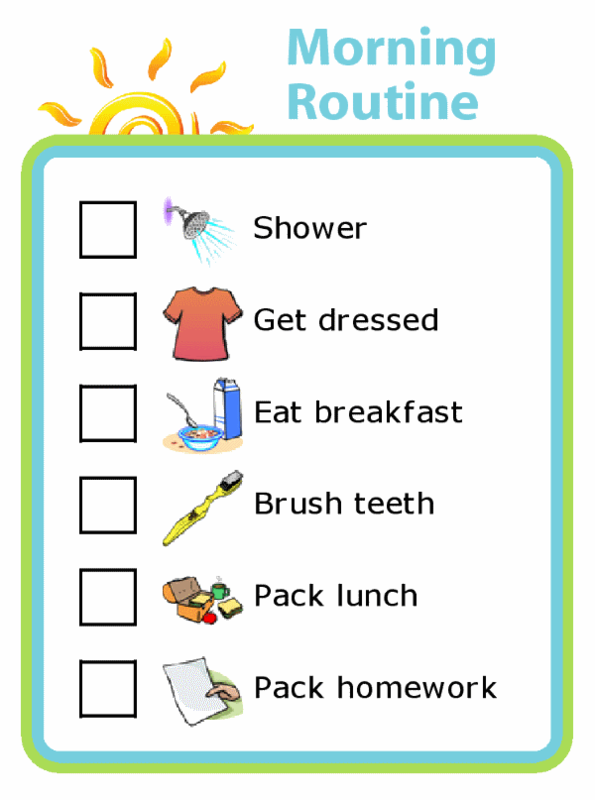 I’ve add 55 new clipart images to help you make any kind of school schedule you need! Give it a try.